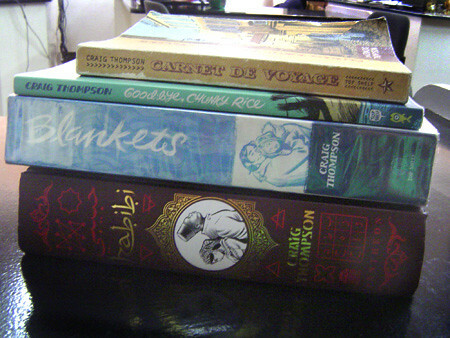 sillysili wrote: Books by Craig Thompson! It's a Craig Thompson binge. I hear he's coming here next year. Also plugging our local comics. There's Elmer by Gerry Alanguilan (which has won a few awards and nominations) and 12 by Manix Abrera (available din sa Flipreads ito, *plug* *plug). Nag-post na ako sa blog, Wanda. Unfortunately you didn't win. Next time na lang uli. haha sayang! But thanks for inviting us to join anyway....sa uulitin! I have a copy of Blankets and I like it. Haven't read Habibi yet. Which would you say is better, Habibi or Blankets? Homaygulay. CULTURE CRAAAASH!!! nostalgia attack. I miss CC.